Featured in the Times Top mind-body wellness escapes – Just Stop! and detox your lifestyle in Ibiza this Springtime. Invigorate your whole system with fresh air and shake free of winter lethargy. Nourish your nervous system with healing hands and a long deep exhale… Come, let go and unwind in the welcoming arms of the Just Stop! team. Strengthen your body and find peace-of-mind, with mindful hatha vinyasa flow yoga and calming meditation & pranayama techniques. Revitalise with a nutritionist on hand to help you to eat right for your type, with super-food laced, purifying, seasonal, vegetarian cuisine, sugar wheat and dairy free. and fresh, locally sourced produce and post yoga nutritionally designed juices! 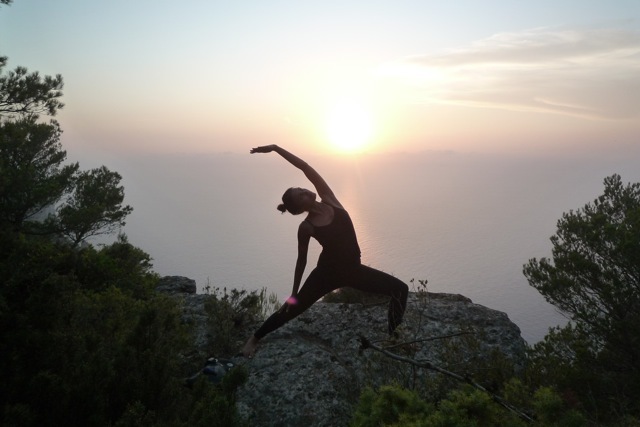 Get clear about your purpose, path and priorities with Life & Wellness Coaching with NLP Coaches & Yoga Instructors Larah Davis, founder of Ibiza Retreats and Rebekah Fensome. Release emotional blockages with MET super-tapping-teacher Shambala. Experience Tai Chi with Arun and let Ibiza’s energy restore your inner-smile. Experience deep relaxation with yoga nidra-yogic sleepl Silence the chattering monkey mind. Lie back and allow our amazing therapists’ healing hands to massage your stresses and strains away, From 795GBP / 999 euros all-inc sharing / £965 / €1,160 with purifying, naturally detoxifying diet, sunset meditations, beautiful beach time, walks in nature. March, April, May, July & August – set in a 400 year old Finca retreat, rustic and natural amidst hectares of fig, almond and carob trees. With bio-pool and lush gardens, perfect peace and tranquility. Both with magical canopied yoga decks amidst the pines. With plenty of you-time for cranio-sacral therapy, reflexology. “Play”shops for techniques to take away to manage stress and create greater emotional balance include MET (Tapping – Emotional Freedom Technique) intro workshop, Yoga Nidra Relaxation and pool-side holistic therapies, sleep, siesta, rest and read. Boost your body, mind and spirit with soft autumnal sunshine and fresh herbal teas, juices and siestas in the shade of the pine trees. Enquire here now. Our ever popular Just Stop! 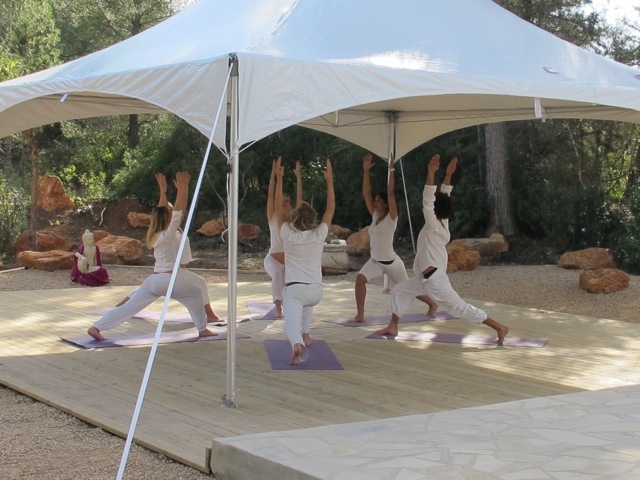 Yoga & Life Coaching Rejuvenation Retreat is back for 2013… End of January date now on offer too! Enjoy personalised care within a group retreat tailor-made for individual needs. With Rebekah Fensome, Life Coach & Hypnotherapist & Larah Davis, Holistic Wellness Coach, both “Yoga for Life” teachers. Combining daily yoga, breath-work & meditations, Life & Wellness Coaching, Reiki-Massage, purifying organic cuisine to release stress and come back to yourself, your health, happiness and dreams. From 795 GBP / 920 € sharing all-inc.
Visit Just Stop! on our website for more information or contact us to book your place.